Good Charlotte today released Shadowboxer , the second single off their anxiously awaited seventh studio album Generation Rx. The song is available to stream and download now HERE. The band also released an accompanying music video for the track, directed by Jake Stark. In line with Generation Rx‘s lyrical themes, the video for Shadowboxer is a solitary look at what appear to be everyday people confronting the pain and struggle that is reflected back at them as they look at themselves the mirror. Such pain is often not visible to others as the stigma of mental health issues forces many people to suffer in silence. Due for release on September 14, 2018 via a newly minted global partnership between the band’s MDDN label and BMG, Generation Rx is available for pre-order starting today HERE. The band also launched an collaboration with LA streetwear brand Chinatown Market, including limited edition shirts, sweatshirts, stickers, and more. Chinatown Market for Good Charlotte pre-order bundles are available exclusively through Good Charlotte’s online store HERE. 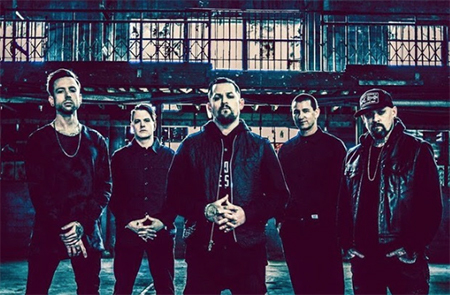 Good Charlotte will return to the road in Europe and The UK for a tour kicking off February 1, 2019. A complete list of upcoming live dates and ticket information can be found HERE.